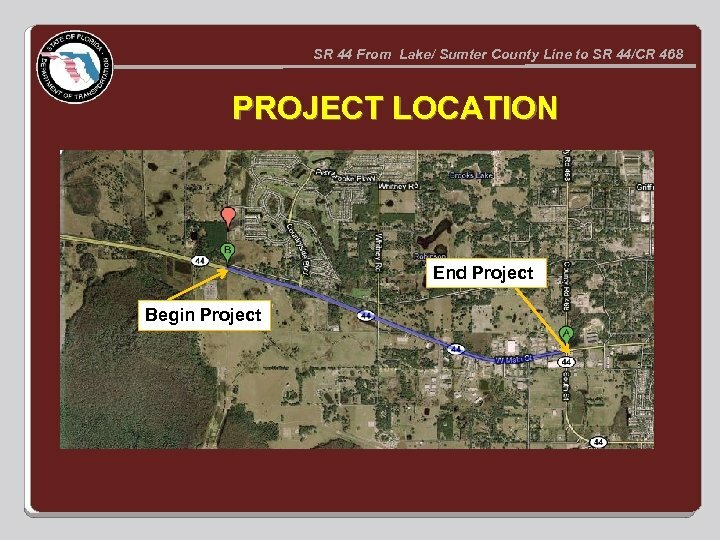 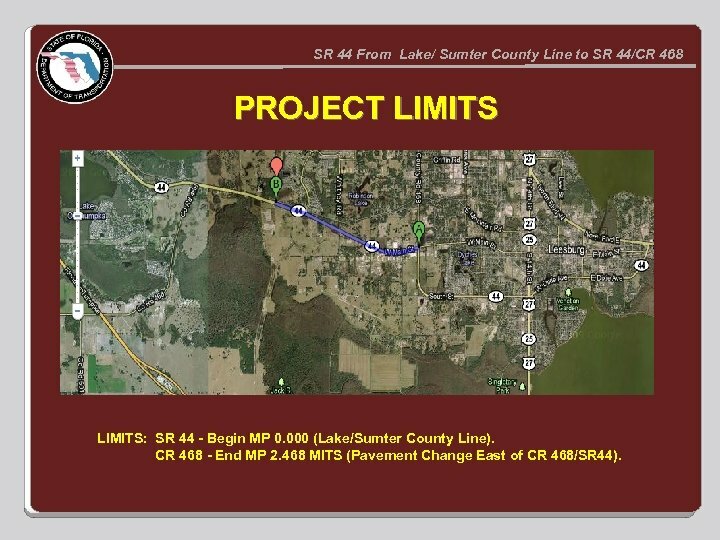 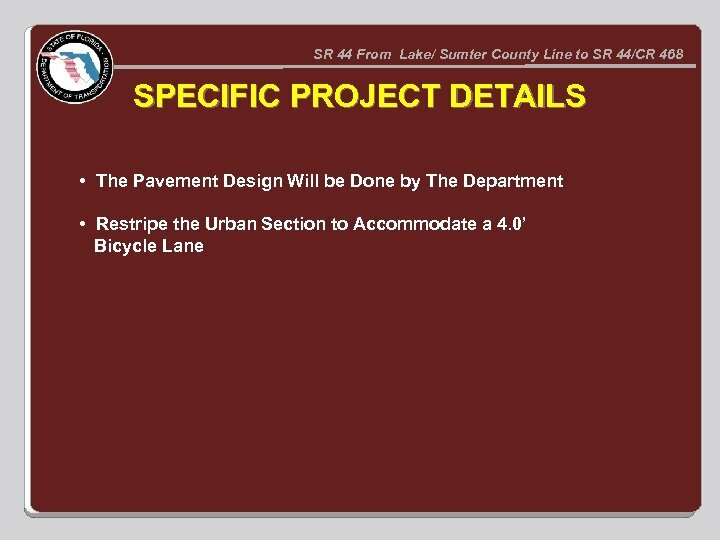 SR 44 From Lake/ Sumter County Line to SR 44/CR 468 PROJECT LIMITS: SR 44 - Begin MP 0. 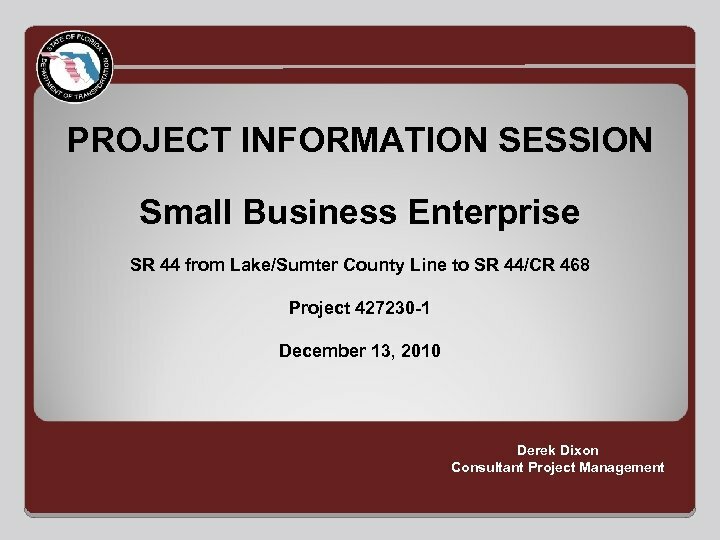 000 (Lake/Sumter County Line). 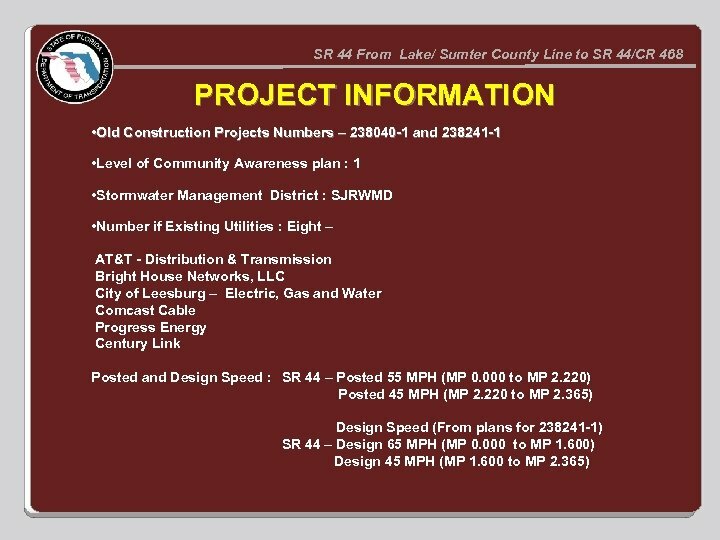 CR 468 - End MP 2. 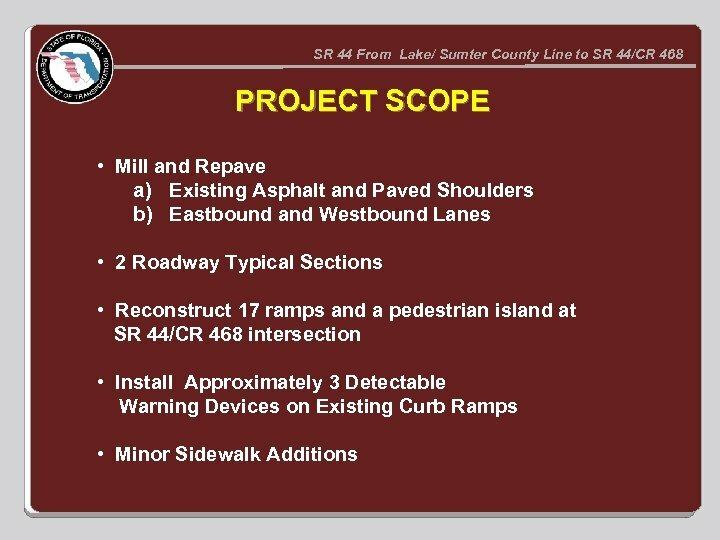 468 MITS (Pavement Change East of CR 468/SR 44). 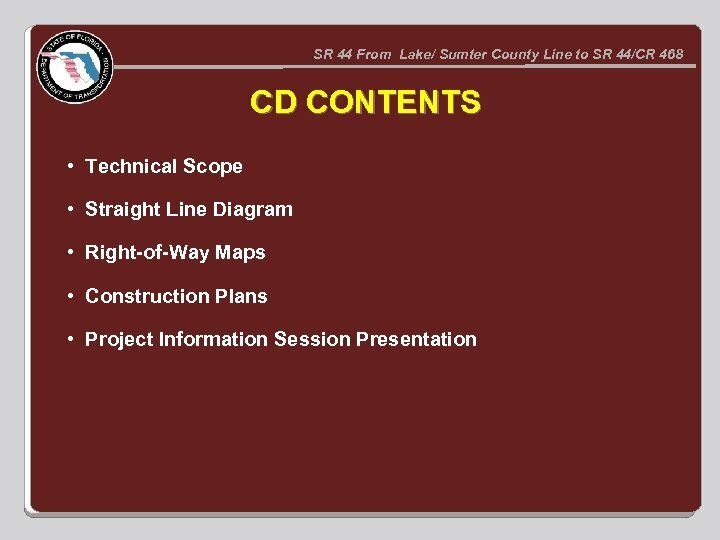 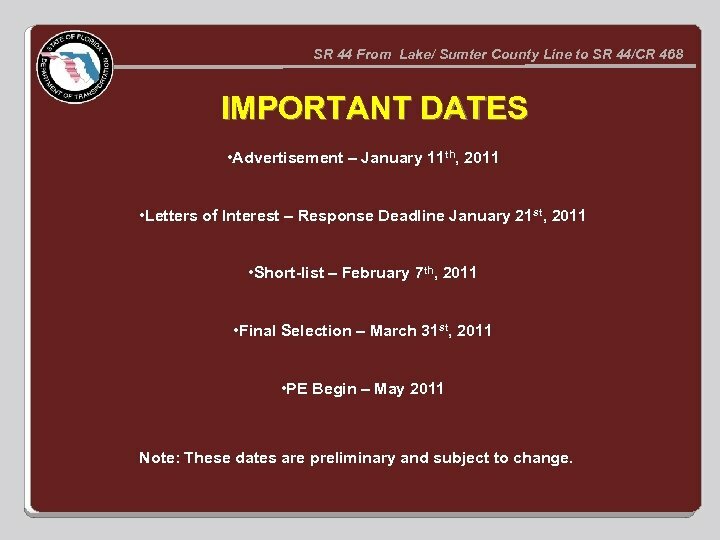 SR 44 From Lake/ Sumter County Line to SR 44/CR 468 IMPORTANT DATES • Advertisement – January 11 th, 2011 • Letters of Interest – Response Deadline January 21 st, 2011 • Short-list – February 7 th, 2011 • Final Selection – March 31 st, 2011 • PE Begin – May 2011 Note: These dates are preliminary and subject to change. 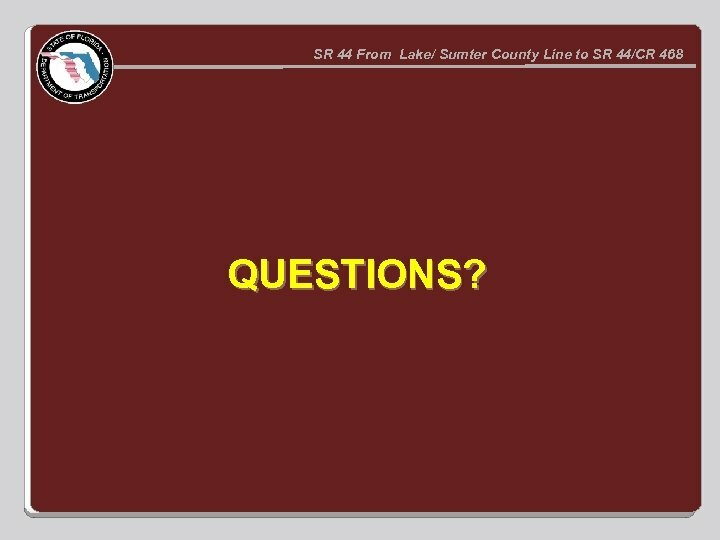 SR 44 From Lake/ Sumter County Line to SR 44/CR 468 QUESTIONS?